MEEKER | The annual St. Patrick’s Day dinner hosted by Holy Family Catholic Church will be held on Sunday, March 25. MEEKER | Everyone is invited to a free Thanksgiving Day dinner with all the fixings from noon until 2:30 p.m. on Thanksgiving Day, Nov. 24 at Holy Family Catholic Church, 889 Park, Meeker. 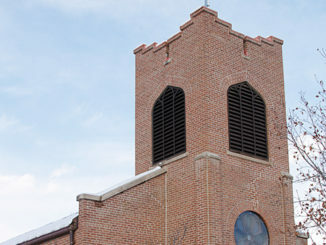 Holy Family Catholic Church in Meeker will celebrate being built 100 years ago, Sunday, Dec. 30 with mass at 9 a.m., followed by brunch at the Fairfield Center for all Holy Family parishioners.